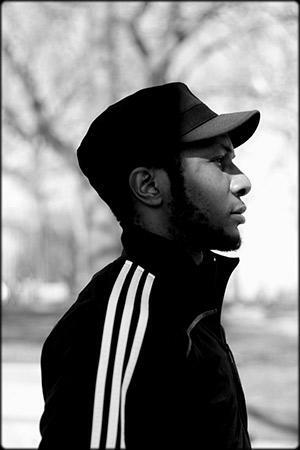 Teju Cole’s Every Day Is for the Thief, reviewed. Teju Cole’s new book is not exactly what it seems. It feels like both an obligation and a frivolity to point out that Teju Cole’s new novel, Every Day Is for the Thief, is neither new nor, by any sort of conventional metric, a novel. The first negation is pretty straightforward: It was originally published in Nigeria in 2007, four years or so before Open City, the book on which Cole’s reputation is largely based. The second is a bit more contentious, in the way that it’s always contentious, and probably finally pointless, to attempt to define what is and is not a novel. Perhaps it’s enough to say—of this book and of Cole’s writing generally—that it leaves in its wake a trail of ambiguities, an artful wreckage of formal expectations. Everywhere he goes in Lagos, the narrator encounters men of varying levels of power who want money for merely doing their jobs, and often not even for that. Moments after his flight lands, he is faced with the reality of this culture of lubrication, when an official who is just sitting by the exit “and doesn’t really appear to have any actual function” asks him what he’s brought him for Christmas. The narrator quickly realizes that he is much more an outsider here than he expected to be, and that the experience has become something other than a journey home—that he has “returned a stranger.” The book is a travelogue about that most bafflingly foreign of places: the country that happens to be your own. Well, this is wonderful, I think. Life hangs out here. The pungent details are all around me. It is a paradise for the lover of gossip. Just one week later, I see another fight, at the very same bend in the road. All the touts in the vicinity join in this one. It is pandemonium, but a completely normal kind, and it fizzles out after about ten minutes. End of brawl. Everyone goes back to his normal business. It is an appalling way to conduct a society, yes, but I suddenly feel a vague pity for all those writers who have to ply their trade from sleepy American suburbs, writing divorce scenes symbolized by the very slow washing of dishes. Had John Updike been African, he would have won the Nobel Prize twenty years ago. I feel sure that his material hobbled him. Shillington, Pennsylvania, simply did not measure up to his extravagant gifts. And sadder yet are those who haven’t even a fraction of Updike’s talent and yet must hoe the same arid patch for stories. So there’s a sense in which this book can be read as a companion work to Open City. There is not the same cleanness of distinction between author and narrator, or the same equipment of plot brought to bear on the material (an equipment which is, even in Open City, fairly lightweight); but there are certain biographical links between the protagonists which might lead you to read both books as part of a single project of essayistic fiction, a Lagos/New York diptych. Both narrators are psychiatrists, both attended military school in Nigeria, both lost their fathers at a young age, and both are estranged from their mothers. These personal specifics might mark out Every Day’s narrator as a younger version of Julius, or perhaps more accurately an earlier version of the same artifice of character. Photo courtesy of Teju Cole. In this journey of return, the greatest surprise is how inessential [Mother’s] memory is to me, how inessential I have made it, even in revisiting sites that we knew together, or in seeing many people who knew us both. People know better than to ask about her. 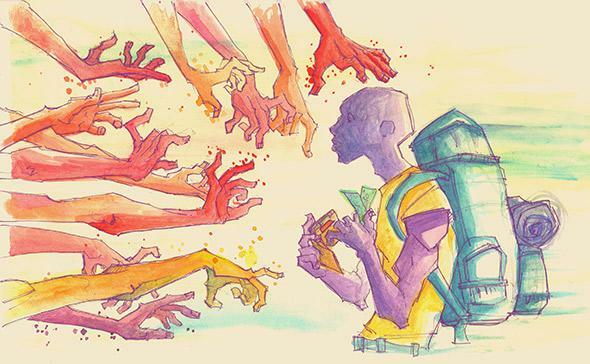 This is what it is to be a stranger: when you leave, there is no void. Mother was a stranger here. She left no void after eighteen years, as if she had never been here. And I, fatherless, am also like a man without a mother, even if it is her face and her pale color that looks back at me from every photograph and reflective surface. I roam all over Lagos, and even once travel along the road that links Unilag with Yaba bus stop, but I cannot bring myself to revisit the site, along that road, of my father’s grave, at Atan Cemetery. Cole’s literary terrain is the urban space; in any number of senses, his writing covers ground. But the space by which he often seems most interestingly preoccupied is the negative kind, the spaces of emptiness and darkness and forgetting. Just as Open City ends on the word “dark,” it also starts out from an absence of context, a sense of missing signification, opening as it does with the words “And so when I began to go on evening walks …” His Twitter experiments, too—for which he seems to be about as recognized now as his “proper” writing—have about them a slightly paradoxical sense of absence. His recent vignette “Hafiz” was both heavily reliant for its effect on a relationship to a formal setting (i.e. your timeline), as well as intriguingly detached from any sense of narrative context, seeming to come out of nowhere, mid sentence, before dissipating into thin air. (I should probably disclose here that I had a small role in the experiment, as one of the people he retweeted to make the story, although this in no way made it any less opaque to me.) In a recent interview with the New York Times Book Review, Cole mentioned that he considered the novel overrated, and that “the writers I find most interesting find ways to escape it.” Increasingly, he is finding his own ways to evade the restrictions of form, following a path through negative space into something intriguing and strange. Every Day Is for the Thief by Teju Cole. Random House.